The annual company summer picnic or outing is a tradition for many organizations and a time to get creative to give your staff and their families a memorable experience. 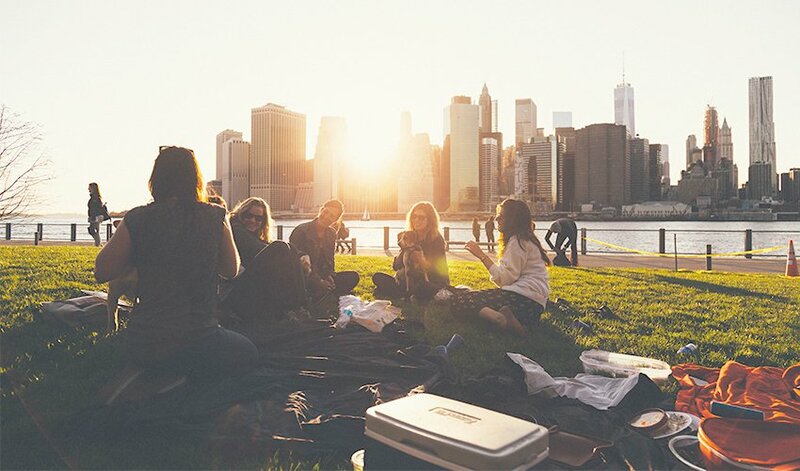 We’ve compiled a 10-step guide to creating a fun and unforgettable summer picnic for your employees which includes suggestions for possible local venues, entertainment, activities, food, and tips for managing the logistics. 1. Determine who to invite. Choosing who to invite impacts many of your other decisions about the event. Will you invite just staff, their spouses/significant others, or their families? You'll need to know how many people you need to accommodate and your prospective audience in order to plan a successful picnic. When choosing a time for your organization's picnic, consider your organization's work schedule, employees' vacation schedules, and who you are inviting to the picnic. If the picnic involves other family members and children, after work or on a weekend may be best; whereas if you are only inviting staff, a weekday picnic may be more appropriate. Saturday around lunchtime and early-mid afternoon is usually the most common day/time to host a family picnic. 3. Pick an attractive local venue. Selecting a new location for your summer picnic each year adds some excitement. Depending on your budget, local park pavilions, amusement or water parks, dinner cruises, outdoor festivals, or even the company premises (if conducive) are all good options for company summer picnic venues. 4. Plan fun, appealing activities that suit your audience. Rides, inflatables, carnival games, sports, craft-making, paddle boats, pony rides, and karaoke are just a few of many activities that you could offer. Whatever activities you choose, make sure they fit your audience and the ages in attendance. Also, if your picnic involves activities, it's best to provide an agenda for the day. Caricature artists, clowns, balloon artists, event artists, trapeze artists, gymnasts, stunt men, magicians, DJs, acrobats, face painters, jugglers, ventriloquists, comedians, fortune tellers, puppeteers, bands, soloists, dancers, and impersonators are different types of entertainers you could hire for the event. 6. Add new prizes to your raffle. A raffle or drawing is often an anticipated highlight of the company picnic for employees and their families – especially if you give away great prizes. Skip giving away the extra PTO day this year or company logo gear. Rather, include employees’ kids and offer exciting prizes like new technology, money, gift cards and certificates, and the latest toys – all things most people love to win. It helps change the atmosphere and adds a fun twist. Insert your theme into your activities, food, decorations (tablecloths, center-pieces, etc. ), and even communications about the event (invitations, reminders, response cards, etc.). Possible themes could include a beach party, safari, wild-west, casino, circus, Olympics, luau, field day, etc. 8. Brand your event and make it special. Communications about the company picnic should include more than just a company-wide email or inclusion in a newsletter. Send out personal invitations to each employee and their family. Brand the picnic and display posters and communications around the workplace. Consider creating a special website or intranet site for the picnic. This helps generate excitement about it and makes your employees feel special and valued. 9. Change up the menu. Providing “picnic staples” (hot dogs, hamburgers, salads, etc.) is important, but consider trying something different this year (see “Picnic Menu FAQs”). Trying new food options can liven up a traditional summer picnic. Additionally, while choosing a good corporate caterer is important, when management gets involved in preparing the food, this can be quite meaningful to employees. What are some popular choices this summer that companies seem to be ordering? Items that can be grilled on site, such as marinated chicken accompanied by some unusual side dishes such as a grilled sweet potato salad or a quinoa salad. What’s good guidance on amount of food and beverage per person? If grilling and offering a choice of entrees, make sure to have at least 1 to 2 pieces per person (i.e. one piece of chicken and one hot dog). By offering beverages in dispensers you are sure to have a nice variety and plenty to go around. If it is hot you want to make sure your guests stay hydrated with plenty of cold water (try infusing it with basil and cucumber for something a bit different), iced tea or lemonade. Best advice you would give a corporate summer picnic planner? Make sure that you are setup to keep your cold food cold and your hot food hot on your buffet line. Depending on the size of your event the logistics can overwhelming consider having either a portion or the entire event catered so you can take care of the entertainment details. Give us a call we would love to be part of your corporate celebrations this year no matter how big or how small. 10. Don’t forget the classics. Popcorn and cotton candy machines, ice cream and snow cone stands, or the annual company baseball game – the classics and traditions of company picnics – should also be included. Don’t get rid of the traditions and classic elements of a company picnic that your guests love and that are unique to your company culture. Last but not least – don’t fail to consider the logistics – like contingency plans for rainy weather. These aren’t necessarily the most fun to plan for, but are important for a successful event. The company summer picnic should make your guests have a great time, connect with one another, meet each other’s families, build relationships and camaraderie, and take pride in your organization. Using the tips in this guide, make your company summer picnic one that employees remember and look forward to all year.